← What Would Geppetto Do? While the Final Fantasy games each have their own worlds and storylines, there are some common elements throughout the series, including the names of certain items. I believe every game in the series so far has a sword called the Masamune, and it’s always one of the most powerful weapons in the game. In FF1, it was hidden deep in the basement of the Temple of Fiends, and any character could wield it, regardless of class. In FF7, it was the sword Sephiroth used. The weapon also plays a major role in another Square game, Chrono Trigger, although oddly enough it’s only in English translation that the sword has this name. 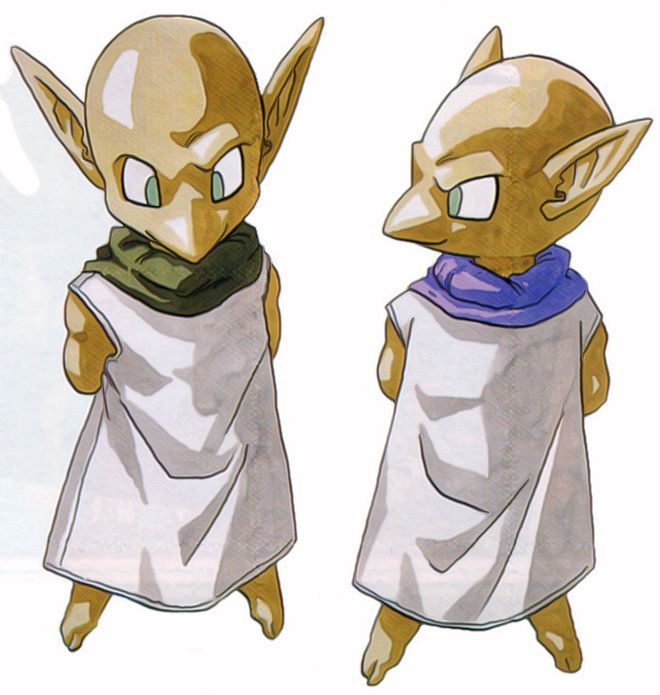 In the original Japanese, it was known as the Grandleon, and its two resident spirits were named Grand and Leon. I’m not sure why it was changed for the translation, but maybe it was just because they figured players would recognize the name “Masamune” from FF. Anyway, whether its inhabitants are named Grand and Leon or Masa and Mune, they still serve the same purpose. They’re dream-creatures forged into the sword by its creator, Melchior, the Guru of Life. The twins also have a sister named Doreen, who in the English version of the game makes an amusing paraphrase of Chang-tzu’s famous quote about not knowing whether he’s a man who dreamed he was a butterfly, or a butterfly dreaming he’s a man (a personal favorite of mine). Doreen’s version is “Am I a butterfly dreaming I’m a man… Or a bowling ball dreaming I’m a plate of sashimi? 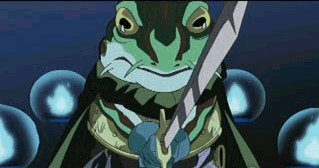 Never assume that what you see and feel is real!” The sword is forged of Dreamstone, and wielded in the game by Frog (AKA Glenn). In Chrono Cross, the sequel that I never made it all the way through, the Masamune has somehow turned evil, and Masa and Mune are said to have gone to sleep. According to this page, it’s revealed in Chrono Trigger DS that the belching magician Dalton stole it when he led Porre in an attack against the Kingdom of Guardia. It’s not entirely clear how the sword became corrupted, but here are some theories. So where does the name “Masamune” come from? It was actually named after the man considered to be the greatest swordsmith in Japanese history. Hattori Hanzō was a hack compared to this guy! His swords were of excellent quality, and were associated with the inner peace that a truly great warrior should possess. His swords are known as Masamunes after him, and they include one that was held by a succession of shoguns (and is now missing), and one that was presented to President Truman. It’s not entirely clear when the blacksmith actually lived, but it’s usually estimated to the late thirteenth through early fourteenth century. He’s sometimes said to have been the master of another famous swordsmith, Murasama, the namesake for swords in the Final Fantasy games that are generally similar to but less powerful than the Masamunes. Since Murasama actually worked in the early sixteenth century, however, the two were pretty much certainly not contemporaries. What probably led to legends in which they were was that, spiritually speaking, Murasama’s swords were basically the opposite of Masamune’s, being associated with violence and bloodlust rather than self-control. In fact, they gained the reputation of being cursed. One popular tale has it that, when the two had a contest, Murasama’s sword sliced leaves cleanly in half, while the leaves just avoided Masamune’s blade because it knew they meant no harm. 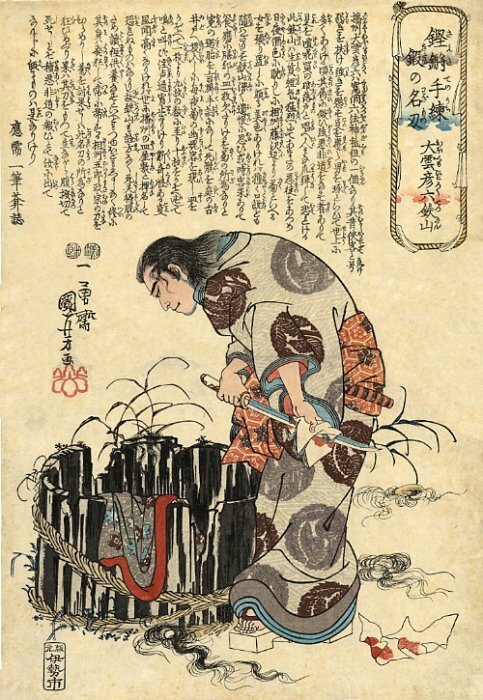 The idea of weapons that are inherently good or evil is one that shows up quite often in Japanese and Japanese-influenced popular culture, obviously including video games. 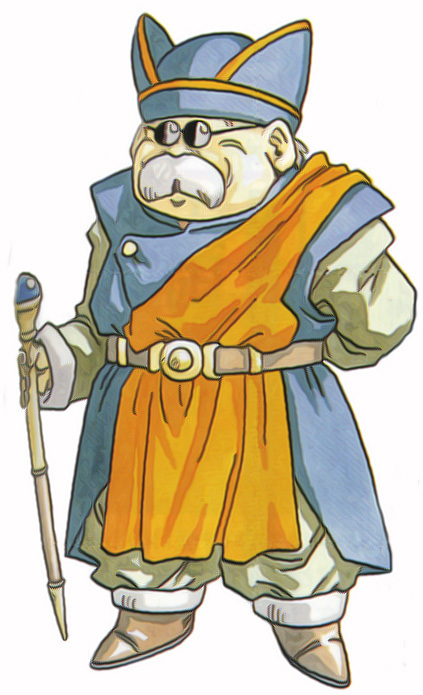 This entry was posted in Chrono Trigger, Final Fantasy, Historical Personages, History, Japan, Japanese, Mythology, Video Games and tagged chang-tzu, dalton, doreen, dreamstone, frog, grandleon, guardia, masa and mune, masamune, melchior, murasama, porre, president harry truman, sephiroth, shoguns. Bookmark the permalink.